Good to see progress on the construction of B&Q's new distribution centre. The sustainability of the spec is really impressive with biomass plant providing 100% renewable heat, roof top solar, efficient lighting and ecologically sensitive planting incorporating beehives in the estate landscaped areas. 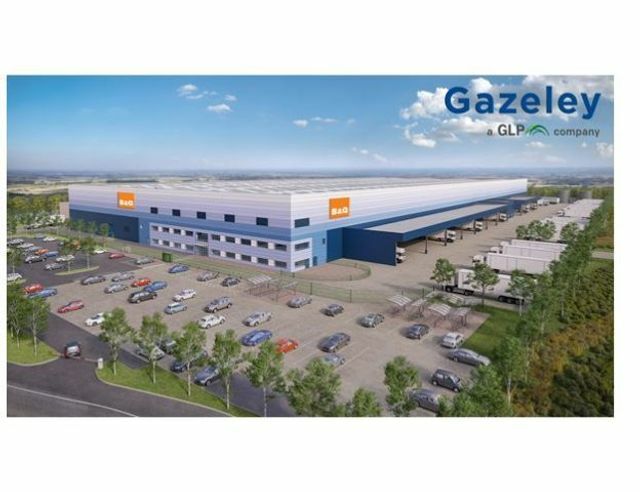 B&Q breaks ground on new 375,000 sq ft distribution centre in Swindon. Construction on the new 375,000 square feet site started in March 2018. When complete, it is estimated around 100 new jobs will be created. It is expected to be operational by February 2019, when the site will be run by Kingfisher’s logistics partners Wincanton and XPO. The new site will be developed next door to B&Q’s existing Swindon DC and connected to the biomass plant that heats it. As well as benefiting from 100% renewable heat, the new building will incorporate roof-top solar panels and beehives in the surrounding grounds. The new site will improve efficiencies within the B&Q supply chain, enabling it to maximise product availability for in-store and digital customers, as well as supporting Kingfisher’s UK supply chain.